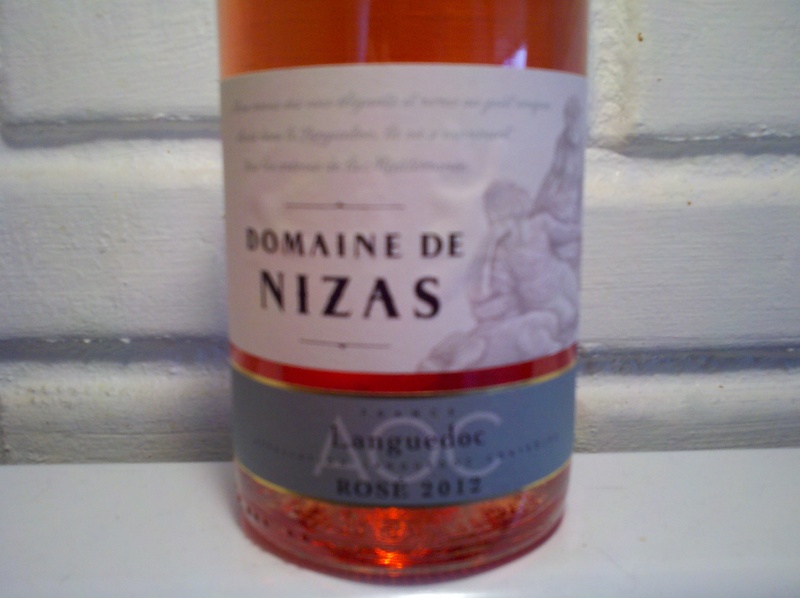 Domaine de Nizas Languedoc Rose 2012 | Wine Splash! We just received this Rose on friday and couldn’t wait to open it this weekend! We normally are pretty patient and let the anticipation build! But it was a gorgeous sunny day and had to open our bright and sunny Rose. This Rose is a blend of 40% Syrah, 40% Grenache, and 10% Mourvedre. Beautiful pink color and even a shade of fuschia. On the nose, aroma’s of strawberry, raspberry, melon, and spice filled our senses! The mouth feel was very crisp, bright, and medium in body. Enticing flavors of strawberry, honeydew melon, white peach, and a hint of spicy orange zest! A nice acidity gives this wine a long, clean and refreshing finish. Vibrant, crisp, and dry but with a wonderful fruity balance. We truly loved this wine and it is going to be our wine of summer this year! We rate it 92 points based on tastings of other Rose wines we have tried. It is also a great value and under $15 a bottle! This Rose would pair wonderfully with chicken, salmon, fresh salads, and soft, medium cheeses. If you have a 2012 vintage, this wine will last through 2014. But if you are like us, you won’t be able to wait that long either. WineSplashing! !